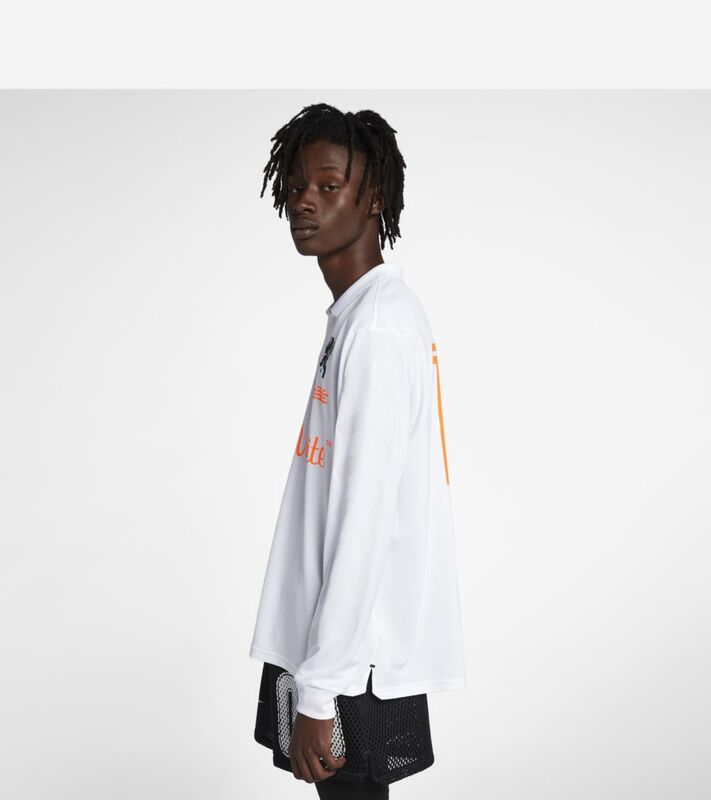 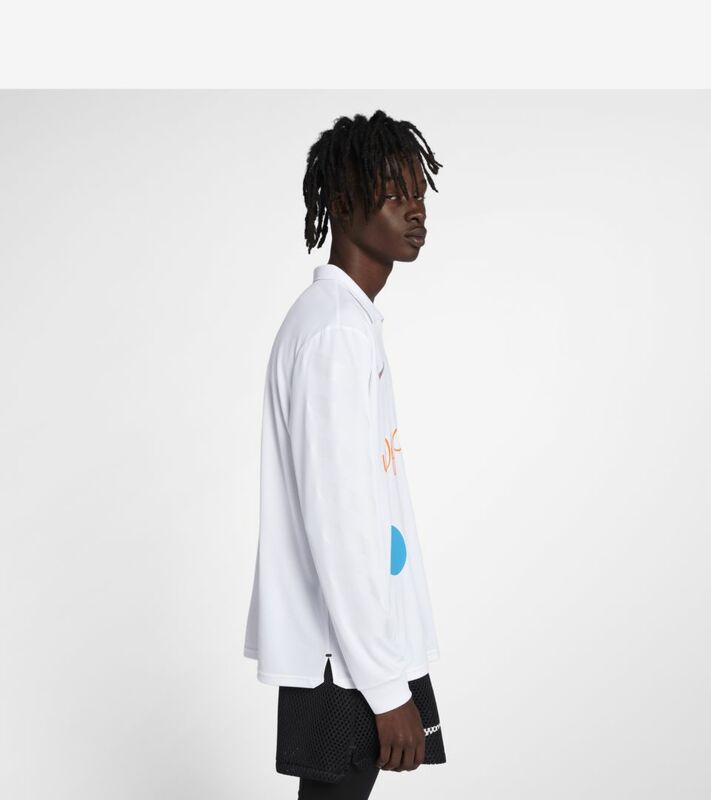 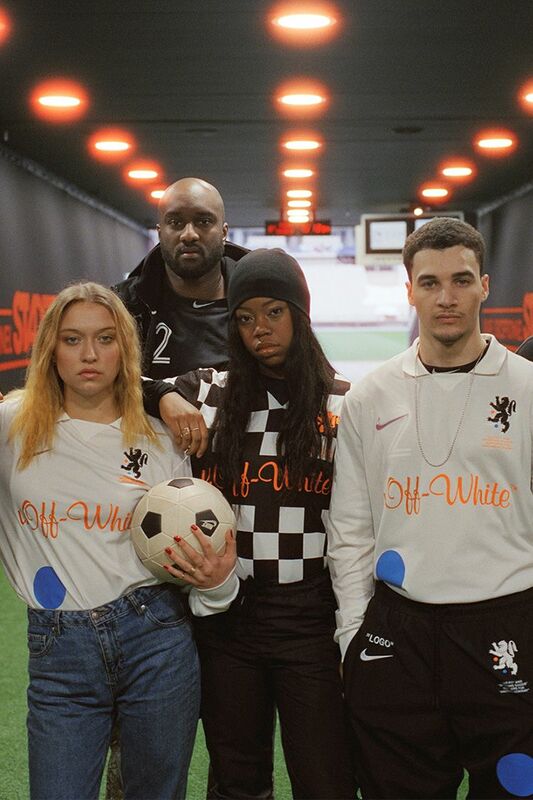 Virgil Abloh's design philosophy meets football culture in the Nike Off-White Shirts. 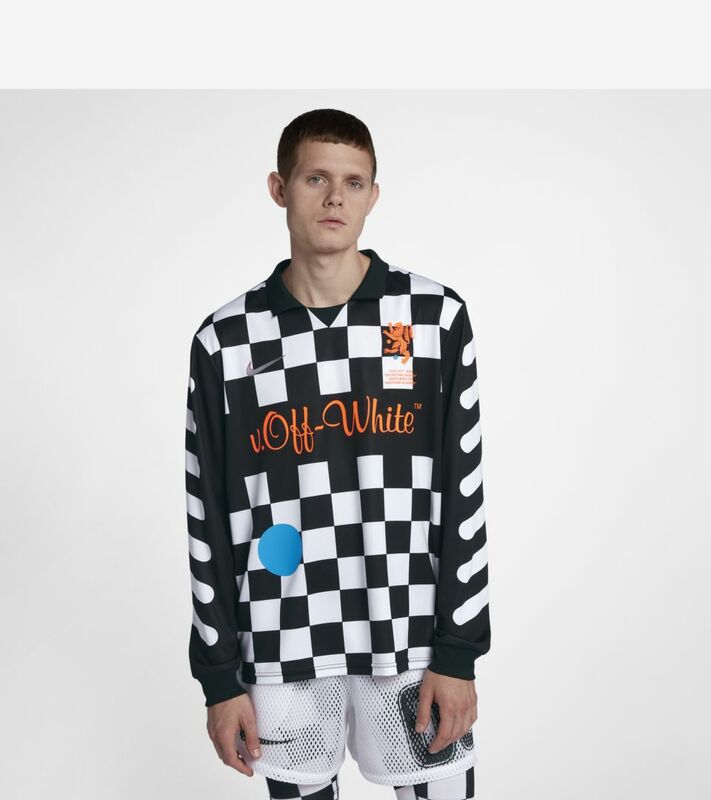 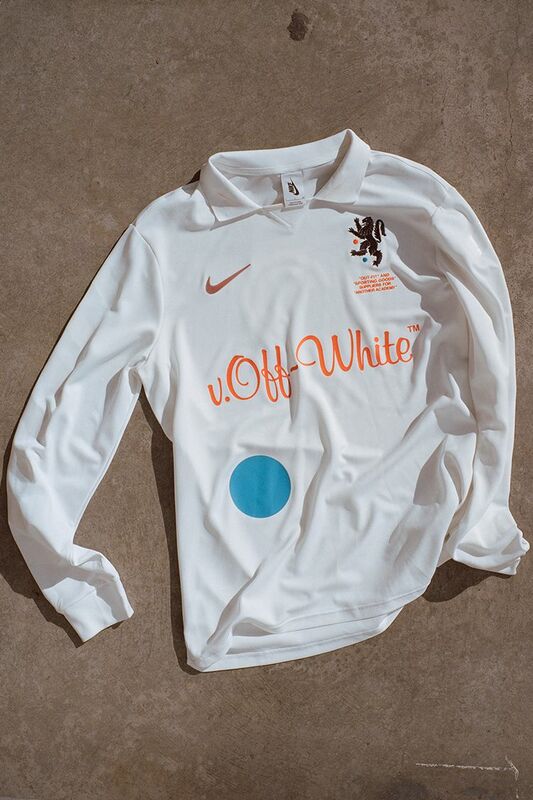 Bringing to life the grace and joy of football through its heritage, the Off-White x Nike home kit is an homage to the iconic long-sleeve white shirt. 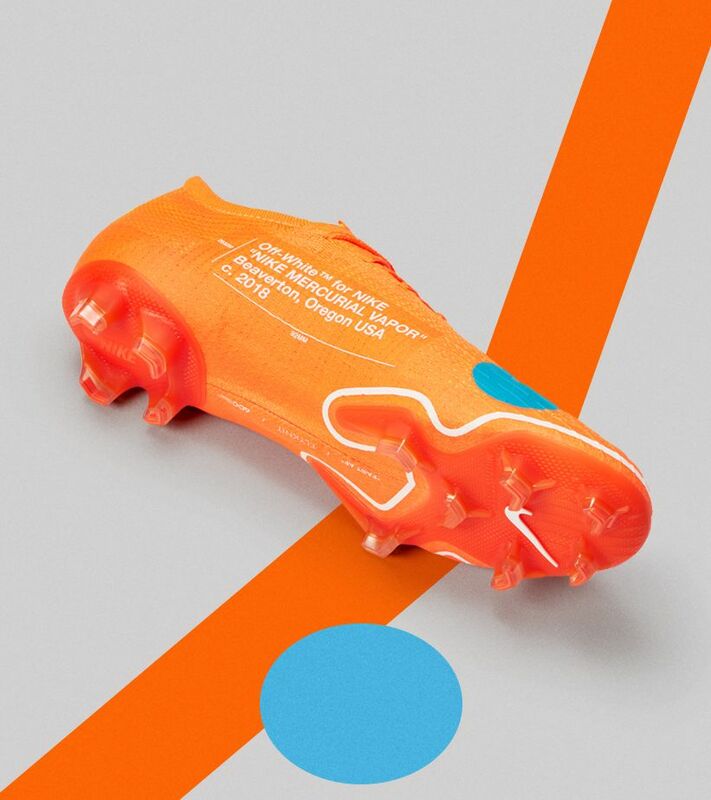 As a whole, its design is born from fusion. 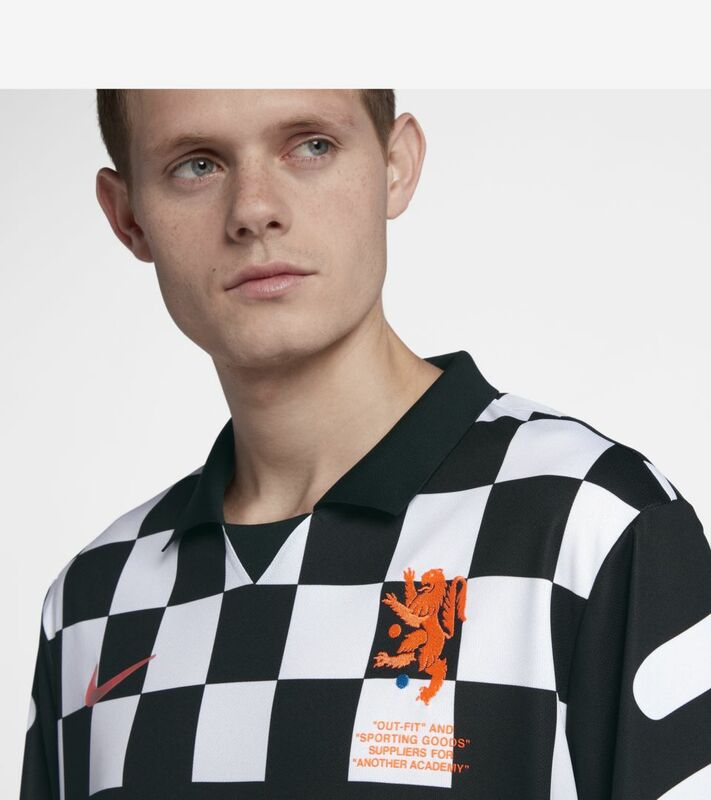 Old vs new, local vs global, streetwear vs performance. 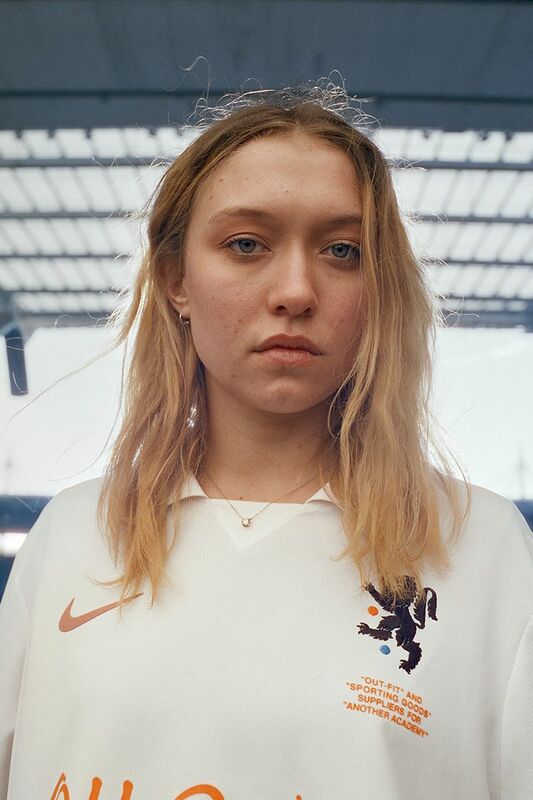 The shirt's inspirations are most striking in its modernised lion emblem. 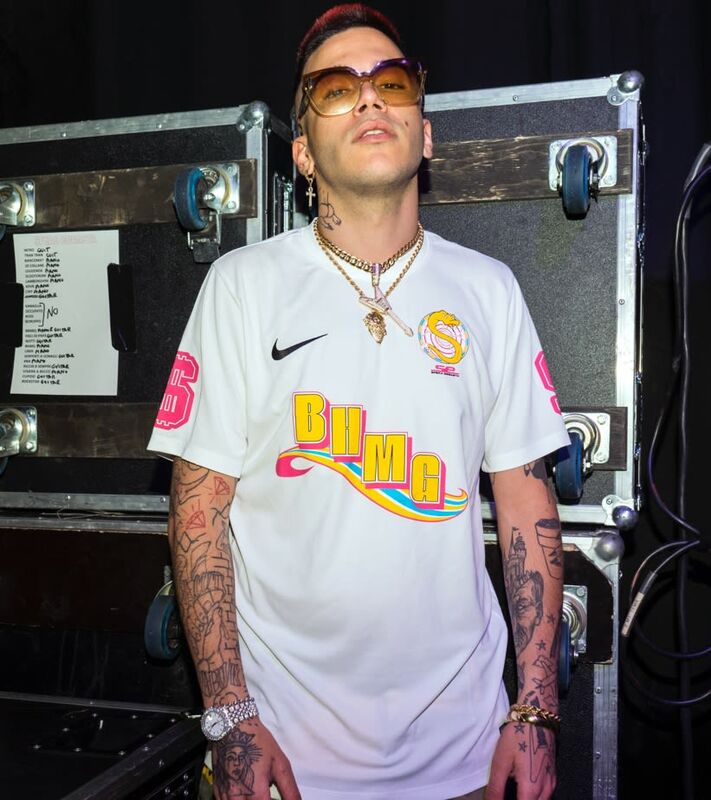 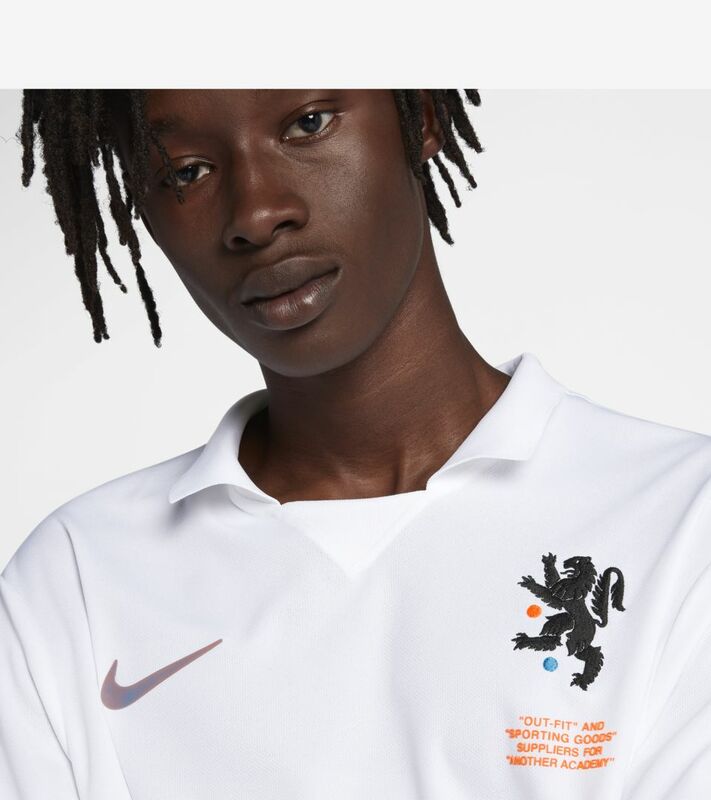 This crest and the Off-White logo are reminiscent of a retro kit sponsor. 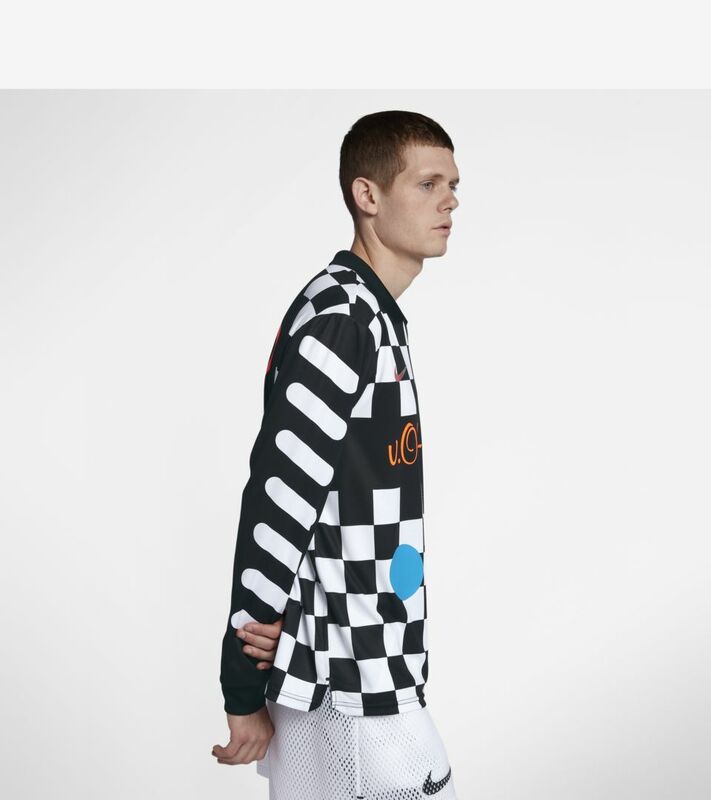 However, the shirt's innovative fabrics blur the lines between past and future. 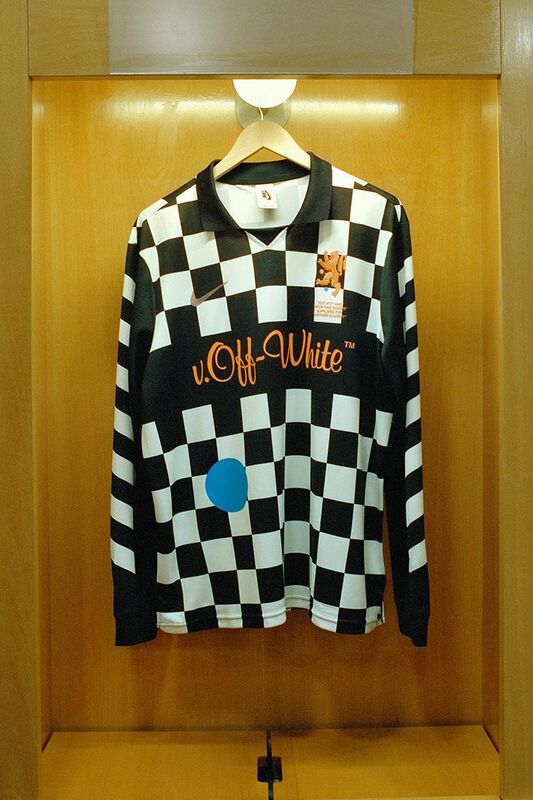 Abloh's answer to the away shirt carries his signature cross-culture design. 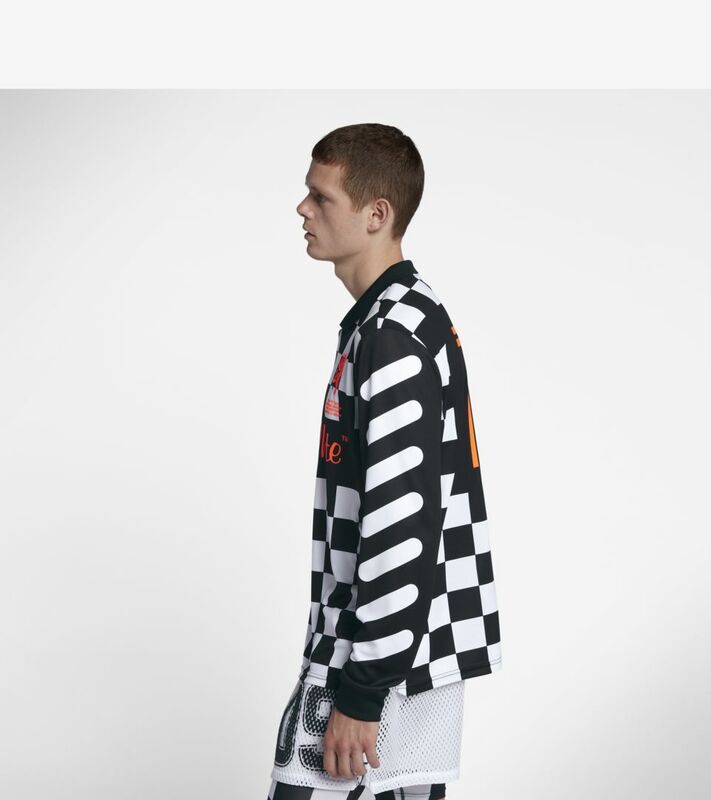 The piece's monochrome chequered base colour has a nostalgic aesthetic. 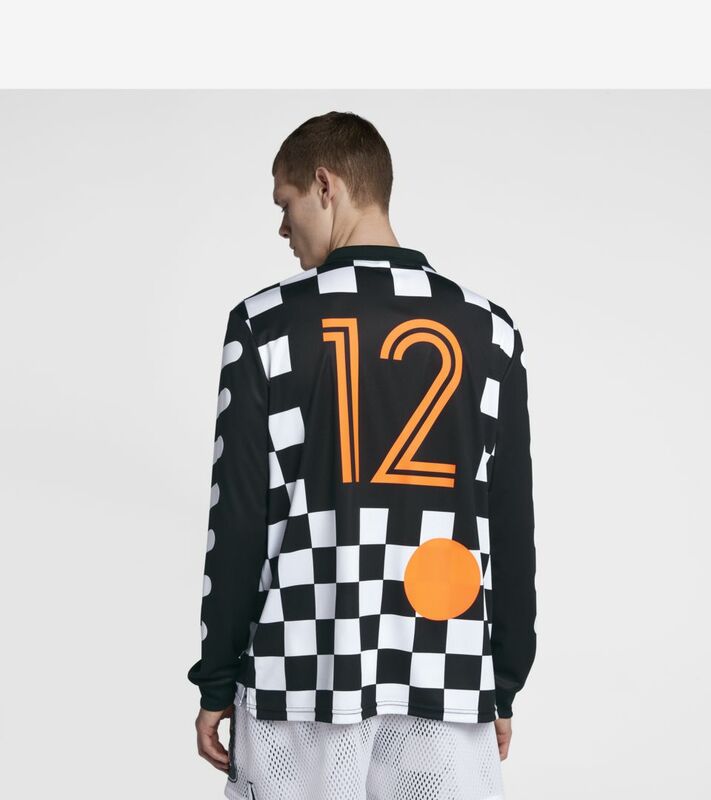 Heavily reminiscent of '90s football shirts, the look is strengthened by contrasting orange detailing. 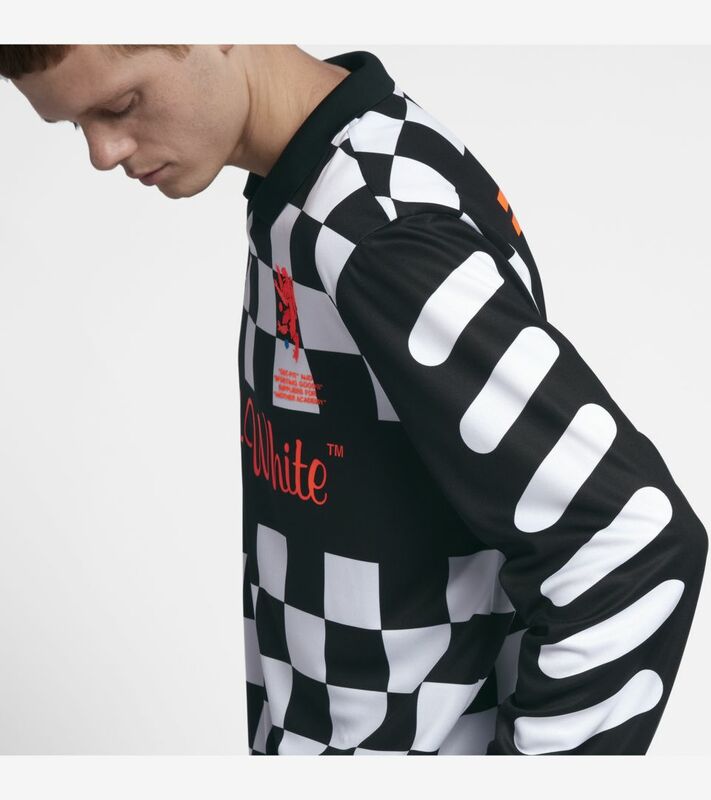 In addition, its cut and collar construction are inspired by iconic football strips of the past. 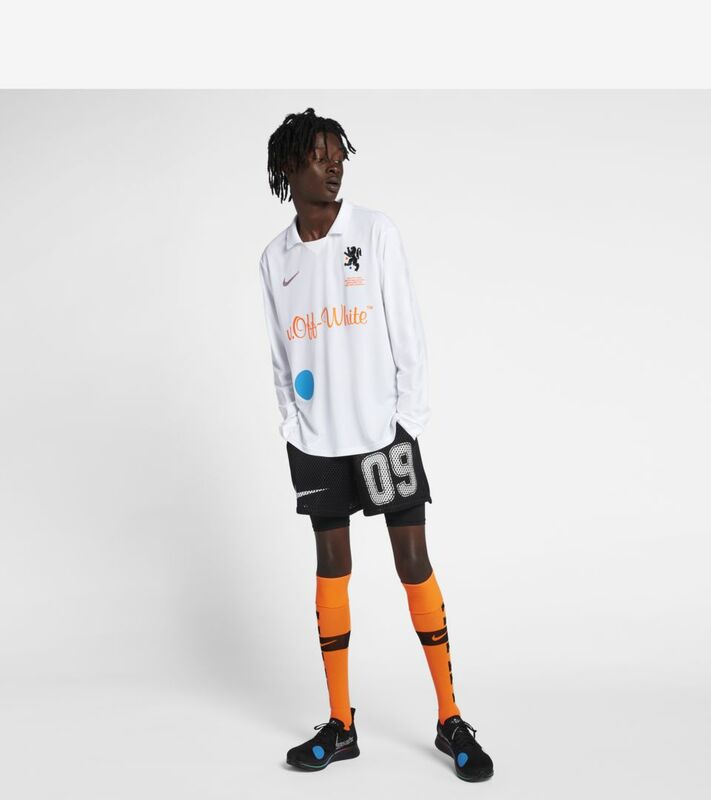 Continued from the Off-White Mercurial, the shirt features a circular, blue vinyl theme, inspired by the work of artist John Baldessari. 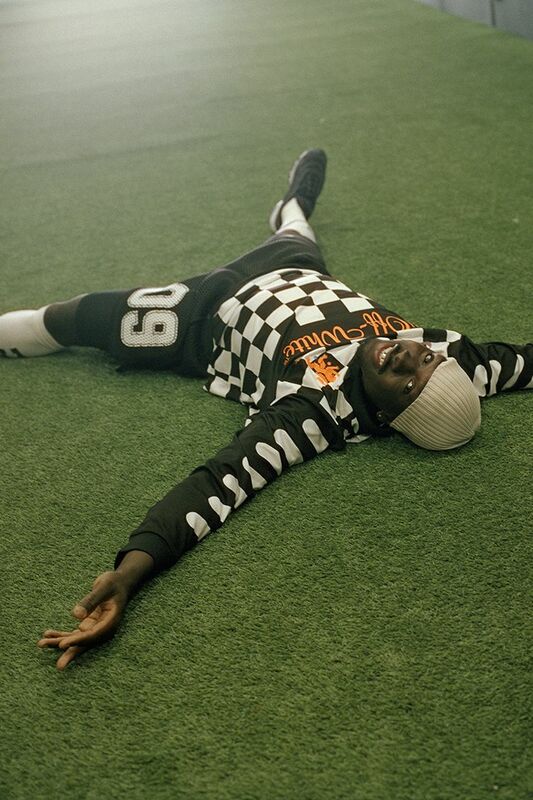 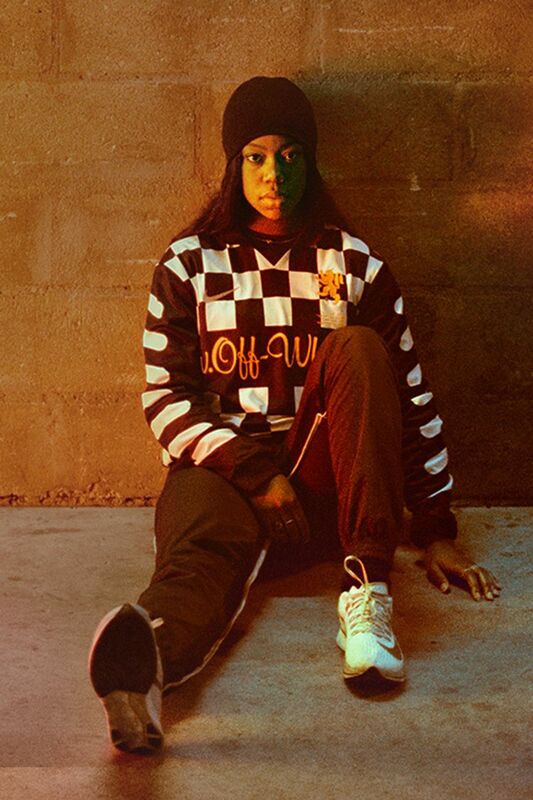 Abloh's dynamic design refracts football's storied heritage through a prism of personal, cultural and emotional connections to the sport. 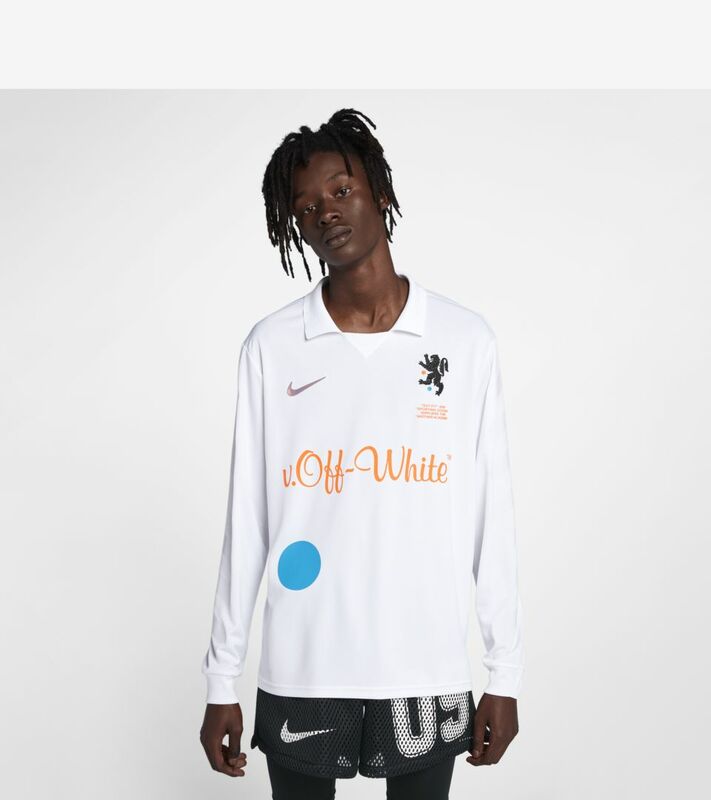 His Off-White shirts take pioneering performance innovation into a new dimension, meant to redefine how you see the game. 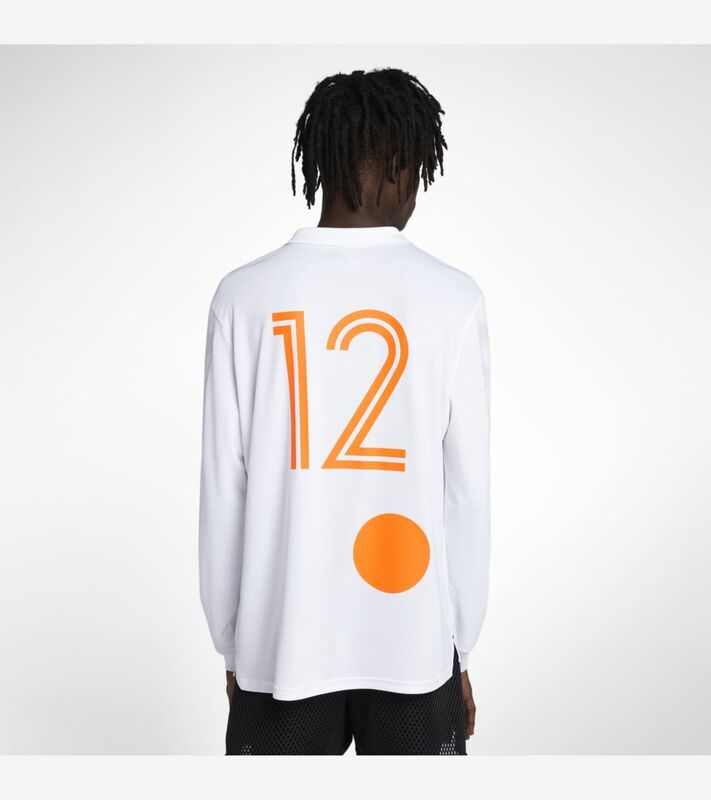 As so often is his signature, Virgil Abloh creates a unique perspective, offering a one-of-a-kind capsule, celebrating football.